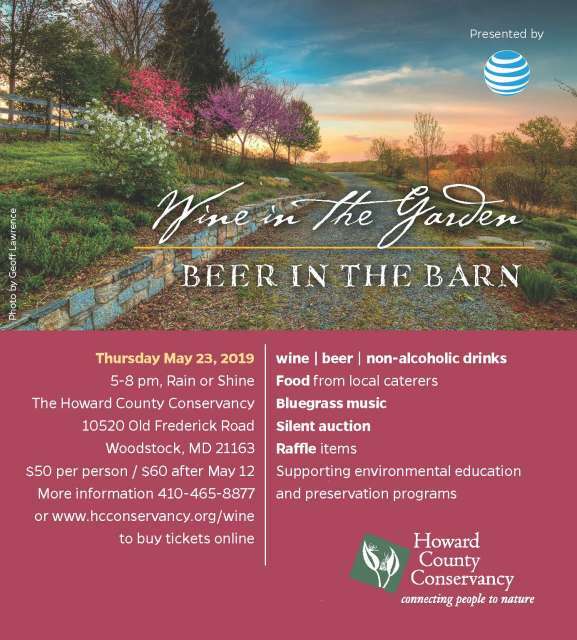 Join us for the 13th annual Wine in the Garden, Beer in the Barn. 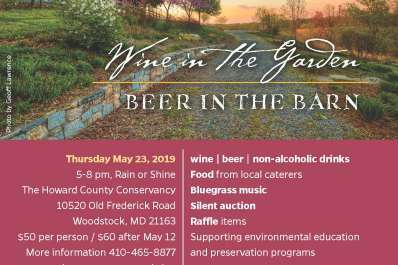 Stroll through the garden tasting fine wine, craft beer and healthy, creative non-alcoholic refreshments. Sample delicious food from local restaurants and caterers and explore our native plant garden. 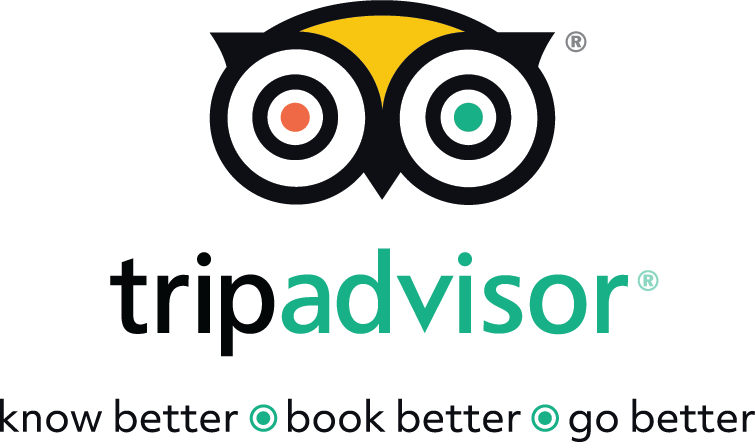 Enjoy live bluegrass music while perusing our large silent auction and raffle items featuring artwork, getaways, dining and more! In case of inclement weather, event will be held inside the Gudelsky Environmental Education Center.